Use all the resources you have at your disposal. From the big players like Indeed and LinkedIn to Craigslist to university specific postings, publicize openings across multiple sites for greatest exposure and diversity of applicants. Encourage your existing employees to reach out to their networks to spread the word and bring in referrals; chances are your staff already knows somebody that would meet the necessary credentials and fit well into your company culture. 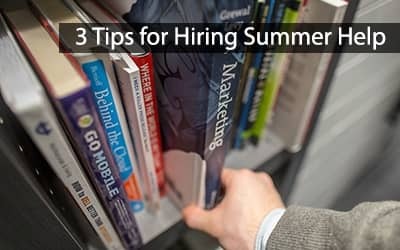 While resumes and cover letters can provide vital information about an applicant’s credentials and experience, face-to-face interactions will always be the true test of whether or not someone will be a good fit. If you are even halfway interested in learning more about an applicant, bring them in for an interview. You may find that somebody with different credentials can provide a more diverse perspective and bring greater experience to the position or you may realize that somebody who looked good on paper isn’t the right fit. Remember, it can take longer than you’d think to spot incompetence. Even if you need immediate help, spending an appropriate amount of time to vet your favorite candidates more than pays for itself. Many students and recent graduates apply with previous professional experience under their belt. If applicants exhibit the abilities you’re looking for but don’t have previous business experience, make sure to ask the right questions. Asking about coursework, interactions within group dynamics, and instances they’ve conquered conflict or stress can demonstrate a candidate's work style and skills. To get a sense of their goals and commitment, ask about their future, your own variation of the classic “Where do you see yourself in x years?” question. Also, trust your instincts; if a candidate does not seem like the right fit for your company they probably aren’t. We spend upwards of eight hours a day with our coworkers and one ill-fitting cog can sour everyone’s productivity. Hiring interns and filling entry-level jobs is more than just filling a position with a degree. Your company is your staff and your staff is your company and each member contributes to your culture, workplace relationships and overall success of your ideas. 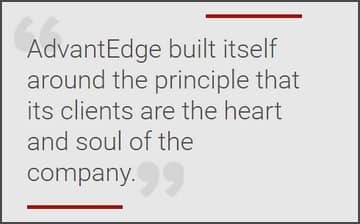 At AdvantEdge, we can help you welcome new employees and seasonal interns and make sure your staff has enough workspace to function efficiently and comfortably. We’ll work with you to provide all the technical and administrative support necessary to ensure a quick transition.